Winter brings unpredictable storms with snow, ice and, wind. 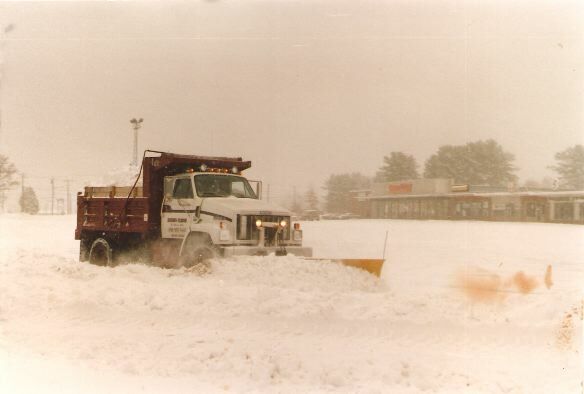 Silversmith has over 20 years of proven experience providing snow management services during this tough New England weather. We typically service commercial lots and drives with plowing and sanding. However, we have other equipment available for snow removal and hauling should the need arise. To begin each season, we walk each and every site to review and stake out. Throughout the season we work 24/7 to monitor changing storms to provide our clients with uninterrupted snow services. We even revisit our sites in the aftermath of a storm to ensure satisfactory results. Client calls are our priority during the snow season, no matter what the issue. Our current clients are located in the Wilmington area and surrounding towns like Woburn, Burlington, and Billerica. If you are a local company or property manager, contact us for a snow management proposal.